Sorry it has been a while since I have posted one of these. This is number nine and the next one is going to be something other than a maze. There were so many mazes I had to split them up with the other activities with issues. 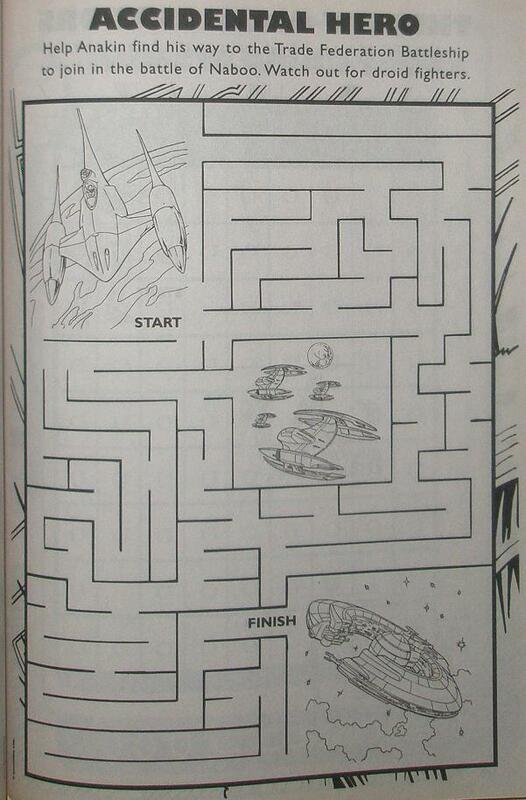 This maze is from Star Wars: The Phantom Menace when the good guys go back to fend off the Trade Federation and Anakin is told to hide in the space fighter. From there, he takes off, flies into space and destroys the Trade Federation droid control ship. 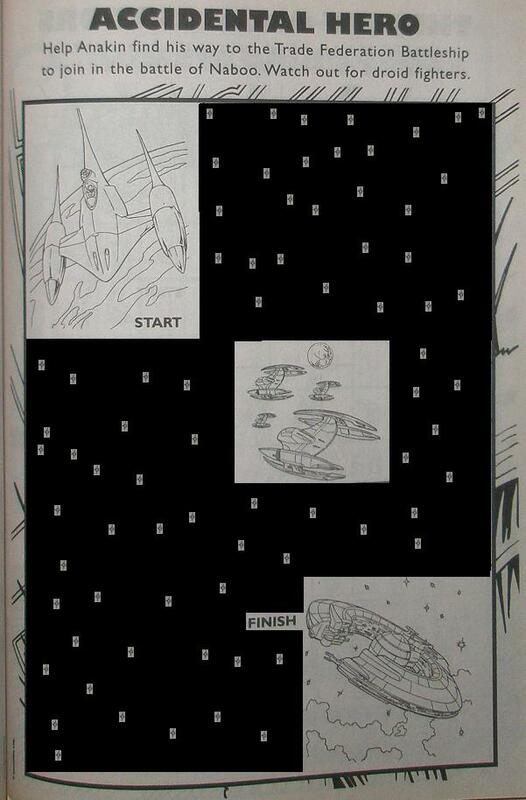 The issue with this maze is that is starts just above the planet, in space, and space is empty. The planet has its own blockade before the Trade Federation showed up. Not only that, the fighters you are supposed to avoid are flying in the wrong direction. It looks like they are just trying to go back to the mother ship, probably because they got lost or were sick of the maze, yet Anakin has to keep going. This is how it should have looked. The stars are just for looks and don’t need to be avoided. Basically, this wasn’t really a good idea for a maze. Just for fun, if you’ve paid close attention to the other activity posts, the number of stars in the added black space is related to a previous Star Wars activity post. Any guesses can be made in the comment section.